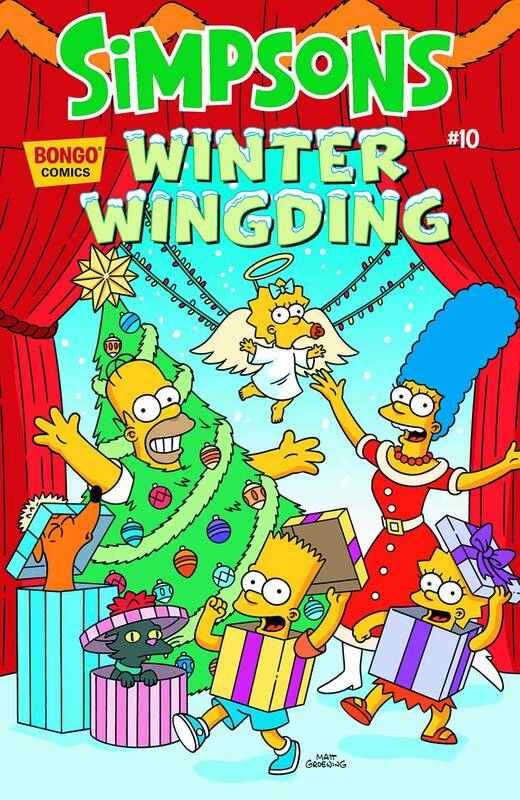 Simpsons Winter Wingding, previously known as The Simpsons Winter Wingding, was a series of comic issues focused on The Simpsons in winter, first published in the United States in 2006 by Bongo Comics. A new issue was published every year in November until 2015. The Simpsons Winter Wingding 2 The Christmas That Lasted Forever! Simpsons Winter Wingding 7 Kiss Me, Bart Simpson! The Radioactive Man Christmas Special! Simpsons Winter Wingding 10 "Yippee Ki-Yay, Mr. Flanders"
Modified on January 23, 2018, at 14:11.